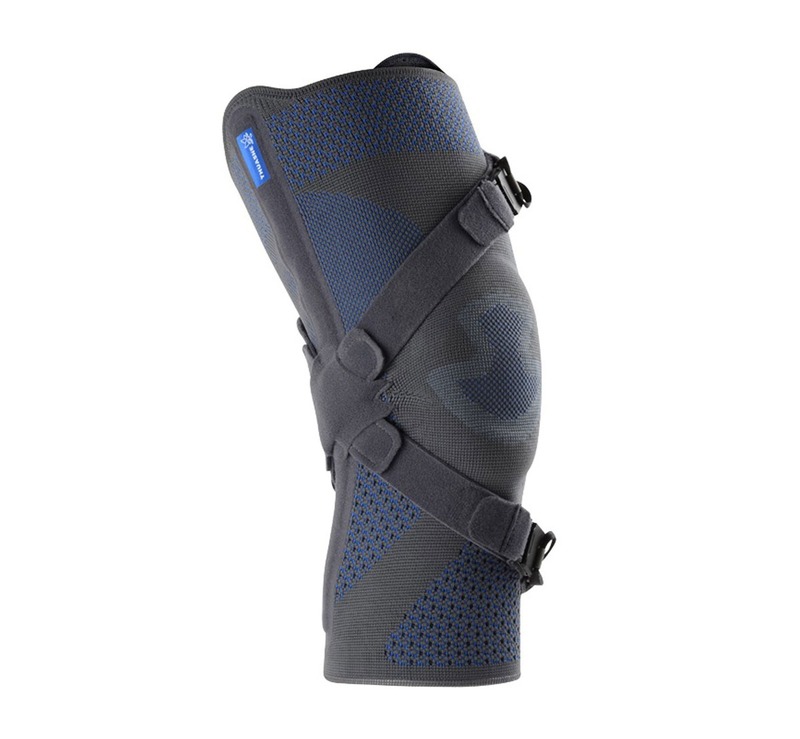 The Thuasne Action Reliever knee brace has a unique off-loading action with easy to adjust straps to create a dynamic 3-point pressure system that isolates and off loads the site of your knee pain. 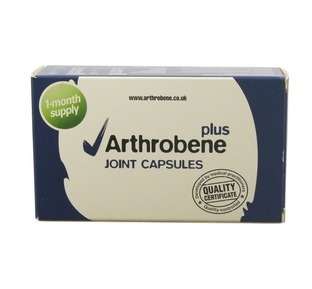 The Action Reliever is designed for mild to moderate arthritis of the knee. This semi-soft knee brace from Thuasne is significantly less bulky and obtrusive than other rigid type knee supports and boasts many design features that wearers benefit from. A dynamic 3-point pressure system creates a unique off-loading action on the knee joint helping to relieve pressure and pain on the knee joint. The anatomically knitted construction keeps the knee warm and offers additional anti-inflammatory compressive support to the knee joint. Integrated anti-slip silicone, comfort zone at popliteal crease with stretch knit at the edges maximise wearer comfort and compliance. Easy to open and close unique magnetic buckles with finger loop make this simple to use even for those with arthritic hands and fingers. 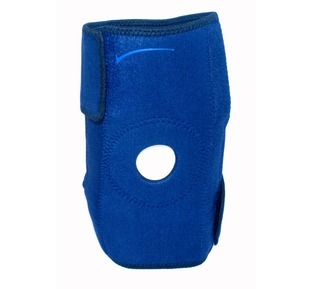 Discreet non bulky low profile brace that can be worn beneath clothing. 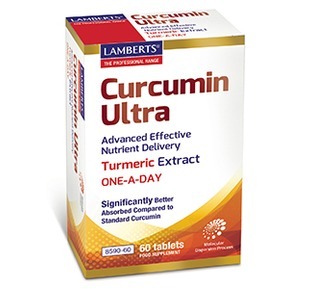 WHY BUY YOUR ACTION RELIEVER FROM US? We are a dedicated supplier. We supply a free additional fitting & adjustment guide. Our Osteopath recommends the action Reliever to his own patients. Our Osteopath Tim explains: "Many of my patients wish to remain active and are not yet ready for a total knee replacement. 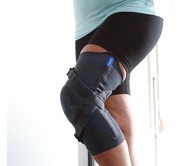 They may have either tried or been recommended a knee brace but often complain that rigid knee braces are too heavy and bulky which results in them not wearing it. The Action Reliever overcomes these problems and results in a high patient compliance which is why I like it so much." Uni-compartmental Osteoarthritis (lateral or medial) this means you will have pain on either the inside (medial) or outside (lateral) of your knee joint. The inside is the more common site of pain. Uni-compartmental (lateral or medial) knee conditions requiring load reduction this once again means you will have pain on one side of your knee. It may not have significant arthritis. ORDERING DETAILS - take care to read the following so as to order your correct knee support. Medial Right / Lateral Left : choose this option for those with either right leg medial compartment arthritis or left leg lateral compartment arthritis. Medial Left / Lateral Right : choose this option for those with either left leg medial compartment arthritis or right leg lateral compartment arthritis. Then measure around the circumference of your knee at the mid patella (knee cap) point and select your size. If you are between sizes then select the larger size option. Still not sure? Then contact us and we will be able to help you. I have arthritis in both knees but the right knee is much more painful. My golf club pro recommended this and after some research I decided to buy it from you. 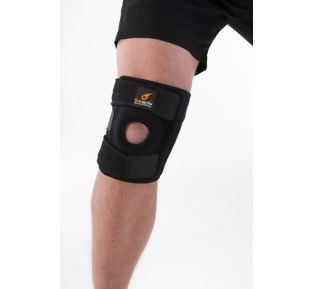 I would definitely recommend this as it has very much reduced my right knee pain while playing golf. I am not sure about getting one for the other knee although I now feel the left knee more than the right! Hi Marco, Thank you for taking the time to share your feedback with us. I have emailed you with a discount code should you wish to purchase an action reliever for your left knee as we will be introducing a discount for two braces in the very near future.